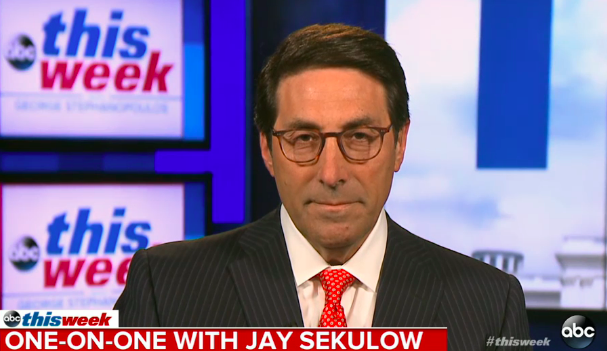 Trump lawyer Jay Sekulow on ABC on Sunday. President Trump’s legal team is now leaning toward declining an interview with the special counsel prosecutors investigation whether Trump’s campaign colluded with Russia. And if Robert Mueller subpoenas the president to testify, it likely will trigger a legal battle that would wend its way to the Supreme Court, Trump lawyer Jay Sekulow old ABC on Sunday. “His legal team is concerned,” Sekulow said. “The inclination is not at this point” to do an interview. Sekulow said discussions are ongoing about a meeting with Mueller’s team, and Trump could disregard his attorneys’ advice and sit down with federal prosecutors. Trump’s legal team last year acknowledged it was concerned Trump would commit perjury if facing tough questions from Mueller, a former FBI director and expert in legal interviews. 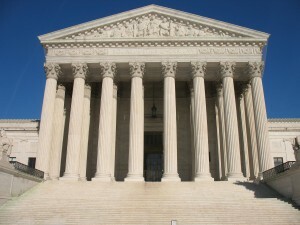 The question about whether is required by law to answer questions from federal prosecutors has never been tested in courts, hence the reason the case likely would wind up at the Supreme Court. Posted: August 6th, 2018 under News Story.